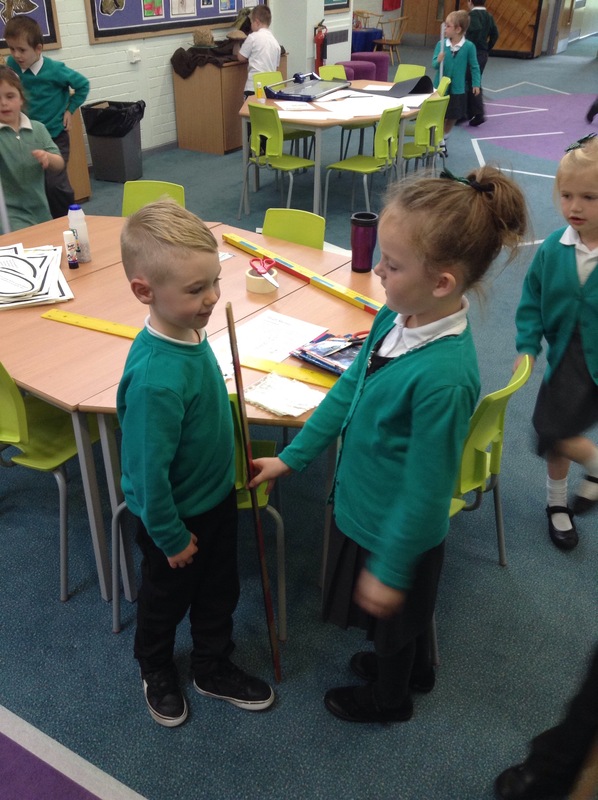 This week in numeracy we have been looking at objects that are longer or shorter than 1 metre. 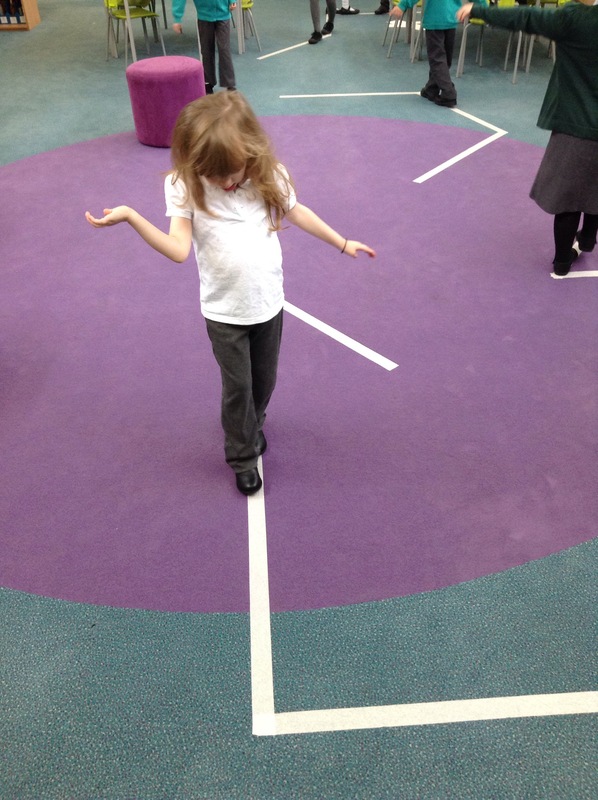 Children became tight rope walkers and measured different ropes, deciding if they are longer or shorter than a metre. 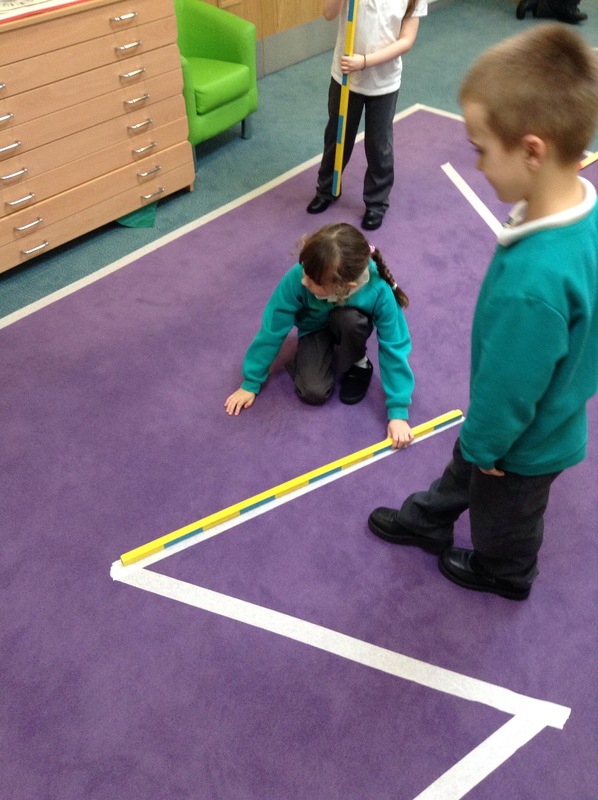 We then moved onto measuring objects around the central area. 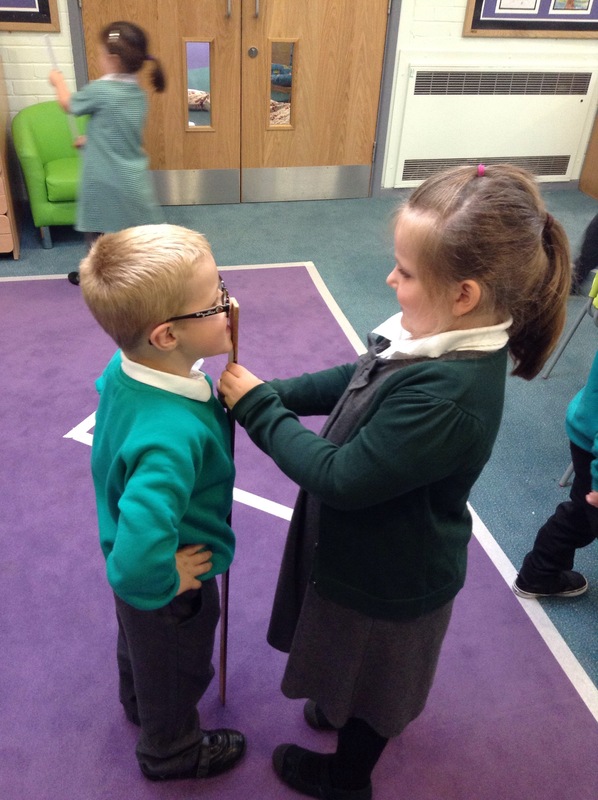 Some children even measured each other!